Compounding  pharmacy startups are one of the major reasons that specialty pharmacies are showing such a rapid rate of growth as related to new pharmacy startups and pharmacies being opened. Add in the number of existing pharmacies expanding their operations by adding on compounding pharmacy services and the result is a lucrative return on investment opportunity. Compounding pharmacies basically create customized prescriptions or modify existing medications for patients and animals whose wellness needs cannot be met by the available manufactured forms or dosages. The compounding pharmacy thereby helps the physicians and veterinarians tailor the medications needed in treating their patients to the exact specifications and requirements of the individual. 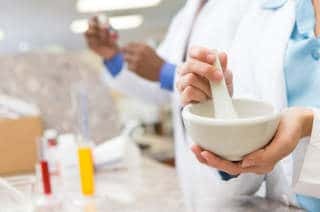 According to The International Academy of Compounding Pharmacists there are perhaps 56,000 pharmacies that participate in some sort of pharmacy compounding services. Most are community pharmacies that primarily compound prescription medications for geographically local bases of customers and prescribing physicians. However, IACP estimates that there around 7,500 compounding pharmacy operations nationally that participate in what are labeled as Advanced Compounding Services. Compounding pharmacies are highly regulated and are basically divided into two groupings: Sterile compounding facilities and non-sterile compounding facilities. An estimated 3,000 of these compounding pharmacies are involved in the production of what are considered sterile products and medications. Every compounding pharmacy facility must strictly adhere to the United States Pharmacopeia (USP) established practice guideline. More specifically, they must adhere to USP chapter <795> for compounding non-sterile medications and USP chapter <797> for the compounding of sterile medications. Additionally, the FDA mandates specific requirements under Section 503(a) of the Federal Food, Drug and Cosmetic Act. To complicate the compounding pharmacy requirements even further, Section 503A has been amended by the FDA to include Section 106(a) as mandated by the Pharmaceutical Compounding Quality and Accountability Act (sometimes referred to simply as the Compounding Quality Act). There are additionally individual state laws and regulations involved in the operation of a compounding pharmacy. A good example is the state of Florida. During the Florida 2016 Legislative Session, statute HB 1175 was passed and became a law on April 14, 2016. The new legislation and law centered around the shipping of compounded sterile products into the State of Florida and the requirement of becoming registered as a nonresident pharmacy and being issued a permit for compounding pharmacies not physically located in Florida. It’s evident that the startup of a compounding pharmacy offers a lucrative business model and return on investment. As medications are being compounded and tailored to meet a patient’s individual needs by delivering exact dosages and helping with medication compliance issues, the need for compounding pharmacies is expanding at a rapid rate. The delivery of medications in alternative strengths, dosage forms and flavors for infants and geriatric patients alone has led to an unprecedented growth rate of compounding pharmacies being started up and opened in the last ten years. The trend will continue with an estimated 20% increase in the number of compounding pharmacies by 2020. Compounding pharmacies now account for more than 3% of all prescription drugs dispensed in the United States. Opening and starting up a compounding pharmacy requires both expertise and experience to result in a successful business operation. Similar in many respects to starting up a “traditional” retail pharmacy, there are numerous additional requirements that must be addressed. In addition to the list of steps followed in the planning and execution of a “traditional” pharmacy startup, there are numerous equipment, policies, procedures and operational considerations. While more and more pharmacies are entering the compounding pharmacy market, it is not without its challenges. Let a nationally renowned Pharmacy Consulting firm like Healthcare Consultants help you get the most out of your investment and guide you through the entire process. Healthcare Consultants has helped plan and open more compounding pharmacies nationally than perhaps any other Pharmacy Consulting firm in the industry. HCC has also helped many existing pharmacies expand their market shares via expansion by the addition of compounding pharmacy services. Plus HCC offers the additional advantage of Pharmacy Staffing and Pharmacy Management, being in the business for over 27 years and being recognized as one of the premier Pharmacy Consulting agencies in the nation. With a proven track record and a history of success, HCC can plan and execute a strategy to win in the Compounding Pharmacy arena. Contact us online or call us today at 800-642-1652 to discuss how we can help you.